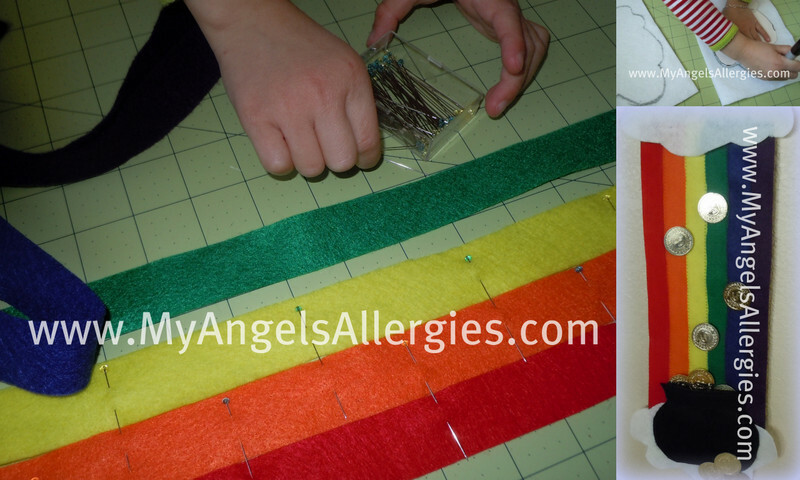 If you haven't seen my Rainbow Reward Chart, it is a fun way to encourage your kids in their chores or other responsibilities. It is especially perfect for this time of the year as spring blooms and rainbows pop out behind clouds. Leave your favorite allergy-friendly, kid-inclusive St. Patrick's Day activity in the comment box for this post (as a registered guest so that I know how to contact you). Feel free to include links! Tell me how you motivate your angel below this FB post on our Facebook page. For you Twits, Tweet "#Giveaway @AllergicAngel I feel lucky!" Congratulations to Christine for winning our Rainbow Reward Chart! Blessing to you this Sweet Irish Day! Veggie Tales took a Leap!